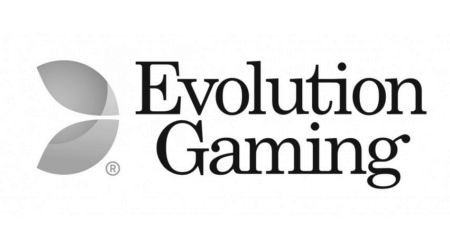 If you’re familiar with the live casino world, you should know the name Evolution Gaming. Founded in 2006 Evolution is now the undisputed top dog in the industry, providing live casino experiences for over a hundred different online casinos. They also employ nearly 5000 people across the globe, including their offices in the UK, Malta, Canada and Romania. Their live studio in Riga, Latvia is Europe’s largest live casino operation. At the time of writing they host nearly 100 live tables of Blackjack alone. Oh, and they’re also licenced by the gaming authorities of Malta, UK and Denmark too. Evolution has developed so many blackjack variations, that even standard blackjack has two different types of tables here! Classic blackjack comes in numbered varieties and their simple blackjack tables are designated alphabetically. Some casinos will run with a dozen or more of these standard tables in their collection, so a labelling system was definitely needed. Aside from the name and décor though, there weren’t any differences between the two. Both kinds of tables offer perfect pairs and 21+3 as side bets, as well as the option to bet behind. Perfect pairs pay 25:1, coloured pairs pay 12:1 and a mixed pair pays 6:1. 21+3 side bets are based upon the dealer’s hand and your hand forming a poker hand – either a straight flush (40:1), three-of-a-kind (30:1), straight (10:1) or a flush at 5:1. Both Evolution Classic Blackjack and Blackjack use an eight-deck shoe and pay out three to two on a blackjack. Lastly, we thought we should mention two kinds of blackjack that you might not find anywhere else but Evolution powered live casinos: party blackjack and Salon Prive blackjack. Blackjack Party is a blackjack table with two extra talkative and enthusiastic hosts, as well as up-tempo party music in the background. Games are played swiftly, as the dealers discuss all sorts of topics between them and in the text chat with the players. Whilst not to everyone’s tastes, this could definitely add something to the experience for many players and could be a good little pick-me-up if you’re feeling a little lonely. The second kind of exclusive Evolution table is the total opposite of that excitement and joviality. Salon Prive tables are solitary tables for high-rollers only, giving prestige customers 1-on-1 dealer attention. With extra time and quiet to focus on your blackjack strategy, and table limits of up to £50,000 a hand. On the other hand, minimum bets can start at £1,500 or more at these tables. If you got the cash, why not give them a go? Insurance offered when dealer pulls an ace – it pays two to one. Bets are pushed when player and dealer tie. Players can only split once per hand. You may not double down after a split. These are in line with standard blackjack house rules. Evolution hardly reinvents the blackjack wheel with any of their creations. But then, with a classic game as popular as the magic 21, they didn’t really need to. Although not being able to double down after a split is hardly standard in European brick & mortar casinos. 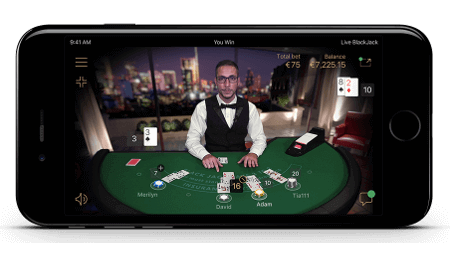 Although much of a mobile live casino experience is down to the individual casino, Evolution does everything in their power to ensure their end of the deal provides truly excellent mobile gameplay. The Evolution lobby always remains with the same basic design, no matter what game selection a casino opts for. This lobby is always responsive and easy-to-use on mobile, assuming a decent connection and fairly modern device. In fact, even at casinos that work with older Android models Evolution’s lobby was still smooth as. 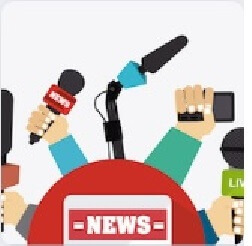 Whether you’re playing from a dedicated casino iPhone app, a Window’s phone browser or any other compatible device – you can be certain that an Evolution Gaming live casino will run fast and efficiently. The blackjack tables themselves also look great, even on a smaller screen. In fact, the quality of Evolution’s full HD streaming will sometimes even stand out more on mobile devices. Their streams always have crisp and clean quality with minimal downtime, glitches or interruptions. No fiddly and extensive operations are required to place that side bet here. Every Evolution blackjack table has been designed with mobile operation in mind, even on the smallest screens. Ok well, maybe not on a smart-watch just yet. But you know what we mean! And that’s just as standard. Different online casinos can and do request other languages from Evolution. This includes Russian Blackjack at Marathonbet and Danish speaking live dealer blackjack at LeoVegas. When it comes to private tables as well, Evolution leads the market. Some casinos, such as Unibet or William Hill, have several dozen or more private tables with Evolution. These tables are usually based at Evolution’s studios in Canada or Latvia but are sometimes hosted elsewhere in collaboration with the casino in question. Either way, if there’s one or 100 of them, the same top-tier quality you’d expect from Evolution applies. From the Matrix style futurism of Unibet’s private tables, to the cutesy and clean white branding of Casumo, every Evolution provided private table captures the look and feel of the casino they are collaborating with. Luckily for blackjack players, a custom table for this classic card game must be easier to make than creating an entire bespoke roulette wheel. We can see this, since casinos with private tables from Evolution tend to have more private blackjack tables than any other live casino game. As we mentioned in the first few paragraphs of our overview, Evolution is the top-tier developer of live blackjack. With a huge amount of variety on offer, a great mobile experience and a real commitment to quality – you can be certain that any casino offering Evolution live blackjack will provide a smooth and enjoyable experience. More private tables, more languages and more ways to play the game makes Evolution the provider of choice for live casino blackjack connoisseurs. Whether or not the cards fall in your favour though, that ones on you!